Here's a quick sketch I did back in Feb. of this year. 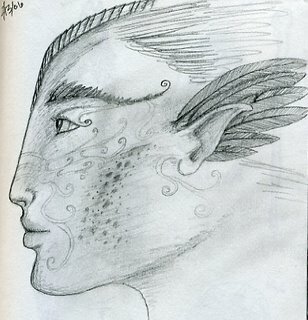 My inspiration was a sketch of a mermaid that I found on John Howe's website. I started out with the same structure, but then let it evolve on its own. This is how it turned out.